Blog What does it mean to take part in the IBO? Story 5. What does it mean to take part in the IBO? Story 5.
engineering. She fences foil on the fencing team, and enjoys birdwatching and playing board games in her spare time. interests in science: the Waksman Club, which was devoted to bioinformatics and molecular biology research, and Science Olympiad, a competition in which teams of 15 students compete against other schools in more than 20 science-related events at the regional, state, and national levels. Those two activities would become the focus of my next four years—and would provide knowledge and experience that I’d eventually take to another competition across the globe. In the Waksman Club, I met a senior named Daphne who introduced me to the basics of DNA. It amazed me that someone so close to my age had discovered mercury-reducing bacteria and written her own programs to analyze DNA. When I had the chance to work with her for Science Olympiad, Daphne inspired me to read Campbell and Reece’s Biology in my spare time. Where my honors biology course and textbook had skimmed over the details of a process, Campbell added another layer, often explaining the how and why. I gradually discovered that biology was not a series of facts to memorize, but instead many concepts intricately linked together. In my sophomore year, a friend on the Science Olympiad team expressed an interest in holding USA Biology Olympiad (USABO) exams at our school. I asked one of our high school teachers to proctor the exam, and she agreed. The USABO Open Exam would be held in February, right in the middle of our Science Olympiad competition season. I put the test away in the back of my mind, focusing instead on studying for the Science Olympiad’s health science, cell biology, and ecology events. In February 2009, I entered the classroom where the USABO Open Exam would be held, knowing only that it would be a 50-minute, 50-question multiple-choice exam. I was armed with my knowledge of the honors biology textbook, select chapters of Campbell, and my experience with molecular biology from Waksman. Although I walked out of the room feeling that my brain’s synapses were dead, I later found out that I had scraped into the semifinal round with a 29 (the cutoff was 27). The semifinal exam, held a few weeks later, was a two-hour exam consisting of three sections: Part A, with multiple-choice items similar to those on the open exam; Part B, with more complex questions that could have multiple correct answers; and Part C, an open-ended response. I was most worried about Part C. In glancing at the question, I was daunted—until I realized that the question was related to a concept I had learned in Waksman. Grateful for the hours I had spent performing polymerase chain reactions and restriction digests, I managed to answer the final question. In April, I was shocked to learn that I was among the top 20 scorers in the country. I was invited to the national training camp, where the team to represent the U.S. at the International Biology Olympiad (IBO) would be selected. I had not even considered the possibility of making it past the semifinal round. While I was excited to have been selected, I was also scared that all the other finalists would know much more about biology than I did. Would I be able to measure up to these students? In the first week of June, I took my final exams early, packed my suitcase, and drove down to George Mason University in Virginia for the two-week training camp. There, I met the 19 other finalists, the three previous IBO competitors who would be our mentors, and the professors who would be guiding us through our learning. Our days consisted mostly of intensive laboratory training—sterile technique, animal dissections, plant sections, gel electrophoresis, protein columns, zebrafish dechorionations, and more. We had occasional lectures by professors and evening sessions with the counsellors to cover material such as biosystematics and statistics. It was up to us to study additional material as we saw fi t in our spare time. In the final two days of camp, we took theoretical and practical exams that simulated what we would encounter at the IBO. While the theoretical exam was similar to the semifinal round of the USABO, the practical was the most challenging experience yet. I had to apply all the laboratory skills I had learned in the past two weeks as I performed tasks in a small amount of time. For example, one task involved cutting thin slices of two plants, staining them, identifying certain parts under a microscope, and answering questions about them—all in under 10 minutes. When I staggered out of the room an hour and a half later, I was exhausted but smiling. After all our exams were over, I enjoyed a few hours of freedom with the other finalists before the awards ceremony, where the top four who would represent the U.S. at the IBO would receive gold medals. 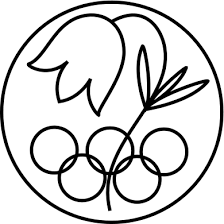 The next four would receive silver medals, and a third group of four would receive bronze medals. I was pleased to receive a silver medal. Mastering the Practical I missed the cutoff for attending the USABO training camp the next year, so for my senior year, I made sure I had read through all of Campbell as well as some additional material. I was excited to receive a second invitation to the training camp, now held at Purdue University. Since I was now familiar with most of the material, I was able to focus on learning the details. I also made sure to get more sleep each night, which helped me better pay attention to what I was learning during the day. Once again, the practical exam was the most challenging part of camp. This time, one of the more daunting tasks was a comparative dissection between a starfi sh and a mysterious brown, squishy lump (which I later learned was a sea cucumber). Still, since I had a better idea of what to expect, I felt more confident about my work and was able to finish most of the tasks I was given. At the awards ceremony, I was ecstatic to hear my name called for a gold medal. I had finally made Team USA. As a team, the three other members and I stayed at camp for two more days to practice lab techniques and discuss our performance on the theoretical and practical exams. When I returned home, I continued to practice dissections on fresh fish, clams, and other specimens from a local supermarket, using the dissection kits that USABO let us borrow. I also practiced preparing plant sections with razor blades I bought at CVS, viewing my slides under microscopes at the pharmaceutical company where my mom works. In addition, I took the previous years’ IBO tests that our coaches had given us. Finally, in mid-July, it was time to reunite with Team USA and travel to Taipei, Taiwan, for IBO 2011. The IBO experience involves much more than academics. I enjoyed the numerous cultural trips that the organizers in Taiwan had planned—touring Taipei, traveling to the mountains, visiting museums, and eating traditional foods. I had my first taste of dragon fruit, guava, and passion fruit. On most evenings, we attended performances and demonstrations by students from different countries that showcased their unique cultures. We were also treated to professional performances of Chinese opera and lion dances. My favourite part was meeting students from all over the world, whom I knew I would meet again in the future as colleagues and friends. In a state of numbness, I hugged my coaches and team members, watching myself on the projection screen as cameras followed me to the stage. I went through the motions of accepting my medal, trophy, and a metallic orange box that I didn’t recognize as a laptop in my state of shock. When the MC congratulated me and handed me the microphone, I stammered out an impromptu speech, thanking my parents, friends, coaches, and Science Olympiad team for supporting me through the years. After accepting congratulations from what seemed like a thousand people, I returned to my seat, still wondering if the past half-hour had really happened. After the ceremony, we headed to the buses that would take us to dinner. As soon as I stepped on the bus, the entire bus rang with applause. The Chinese team said “gong xi” (congratulations) and nodded solemnly as I walked past, and I met smiles everywhere I looked. It was then that it started to sink in that it really had happened. I had won. All too soon, it was time to say goodbye. The next morning, we took our last pictures with the other teams, exchanged contact information, and watched each delegation depart for the airport. I would be staying in Taiwan for another week with my parents, so I saw Team USA off as well. I held back tears as I hugged my team mates goodbye. We had gone through so much together—USABO camp, the 40-hour trip to Taiwan, competing at IBO, winning our four gold medals. It was hard to believe it was all over, that we would now depart to our separate corners of the U.S. for our last summer before college. Still, I had enjoyed every second I spent with the other students in Taiwan, united by our interest in biology. I was sad to see it end, but glad to have been a part of it.